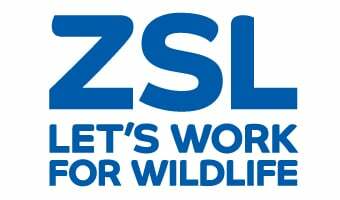 ZSL currently works across the southeastern area of the Western Forest Conservation Complex (WEFCOM) located near the Myanmar border. WEFCOM is a priority area for elephants, tigers, pangolins, and many other species, as well as being an important watershed for Western Thailand. We are working across a protected area complex that includes national parks, wildlife sanctuaries and non-hunting zones. Habitat destruction and fragmentation is one of the main threats to wildlife in Thailand. Remaining forests are under intensive pressure due to human activities. Unfortunately, this increasingly brings animals living in these forests into contact and conflict with people living nearby. In the landscape where ZSL works, and throughout the country, human-wildlife conflict (HWC) is becoming a major challenge. ZSL is working to monitor and mitigate conflict between humans and elephants around the boundaries of the protected area complex in southeastern WEFCOM, including Salakpra Wildlife Sanctuary, Kheuan Srinakarin National Park and Chaloem Ratanakosin National Park. Approximately 200 Asian elephants (Elephas maximus) live in this landscape, where historically, elephants and humans have coexisted with little conflict. However, within the last 20 years, incidents of conflict such as crop raiding, property damage and in extreme circumstances elephant/human deaths have increased. Working closely with the Department of National Parks, Wildlife and Plant Conservation (DNP), ZSL manages a comprehensive programme to monitor, mitigate and initiate community outreach activities that address conflict between humans and elephants. Through the development of new technologies and outreach initiatives, ZSL is currently working with community groups and protected area managers to mitigate the effects of crop raiding. Currently, we are training members of local communities within the landscape to collect data - including patterns, seasonality and crop preferences - in order to understand the causes of crop-raiding to develop models that minimise conflict: these models will be used to help local stakeholders make decisions about crop selection and land use planning. We are also piloting and comparing mitigation strategies such as early warning systems, and barriers using electric fences and trenches, to determine the effectiveness of different techniques in reducing crop-raiding. Our activities contribute to developing a human-wildlife conflict resolution model that can be replicated in other landscapes and for other species. Indochinese tigers (Panthera tigris corbetti) have been studied in Huai Kha Khaeng Wildlife Sanctuary in the northern part of WEFCOM for many years, and the entire Complex is very important for this species in Thailand. Working with Thailand’s DNP, ZSL is conducting surveys to find out whether tigers are also using the forests in southeastern WEFCOM including Salakpra Wildlife Sanctuary, Srisawat Non-hunting Area, Sri Nakarin National Park and Charloem Ratanakosin National Park. This area is potentially an important dispersal area for tigers from Hui Kha Khaeng Wildlife Sanctuary and will be critical to the tiger conservation effort in this landscape. With increased law enforcement, effective patrolling, and sustainable prey populations, this area could develop into an important tiger core area. The project has been successful so far, with tigers being captured on camera for the first time in various locations - read our news articles from September 2014 and June 2015 to find out more. The Asian elephant is also an EDGE species, an Evoluntionarily Distinct and Globally Endangered species. Our work in Thailand is kindly funded by the Cecil King Memorial Fund, Friedman French Foundation, Panthera, Taiwan Forestry Bureau, UNDP Thailand, USFWS, Asian Elephant Fund, and Rhino - Tiger Conservation Fund.